We’re excited to announce that ‘The Wright Event’ is up for an industry award! 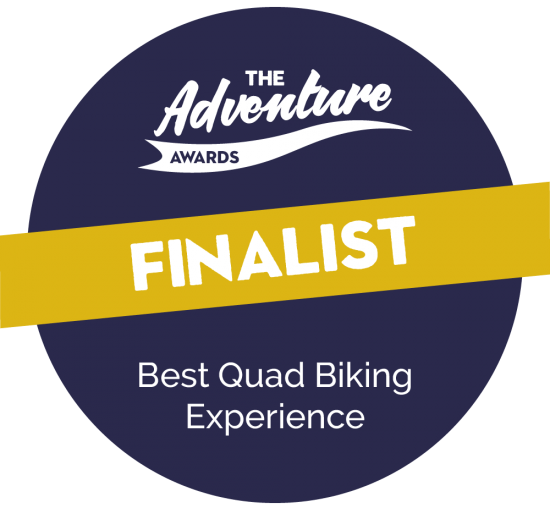 We have been selected as finalists in the ‘Best Quad Biking/ ATV Experience’ category at The Adventure Awards, taking place in Leicester on 3rd April this year. Alongside our corporate events and team building business, we have been running experience days on Saturdays at our home venue in Kent for well over a decade. We’re all about fun and safety. Our quad bikers are put through their paces on an obstacle course before heading out over 200 acres of amazing farm land and tough terrain. Our visitors have a really great time and provide us with fantastic reviews. you can read some of them here. If you’d like to book your own quad biking adventure, you can do so via our website.